We can customise all of our award designs to suit any event. The design above is our 'Classic' design but, we created it in three different sizes for the clients particular needs; perpetual award ceremonies. 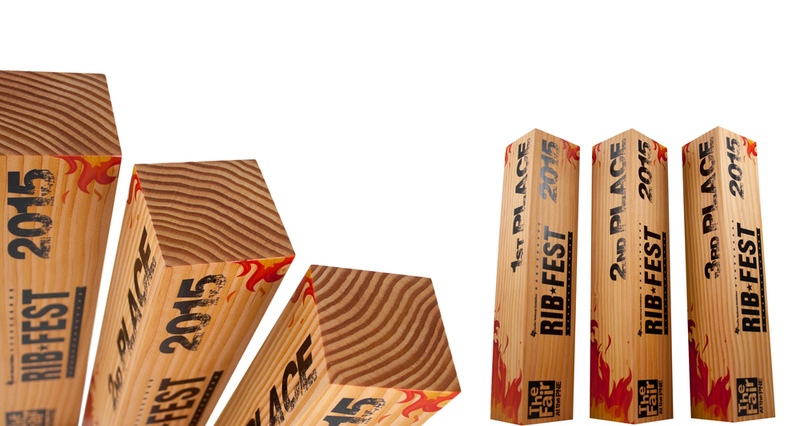 With the largest award measuring almost 4" square (101mm), we made the other awards proportionally smaller. 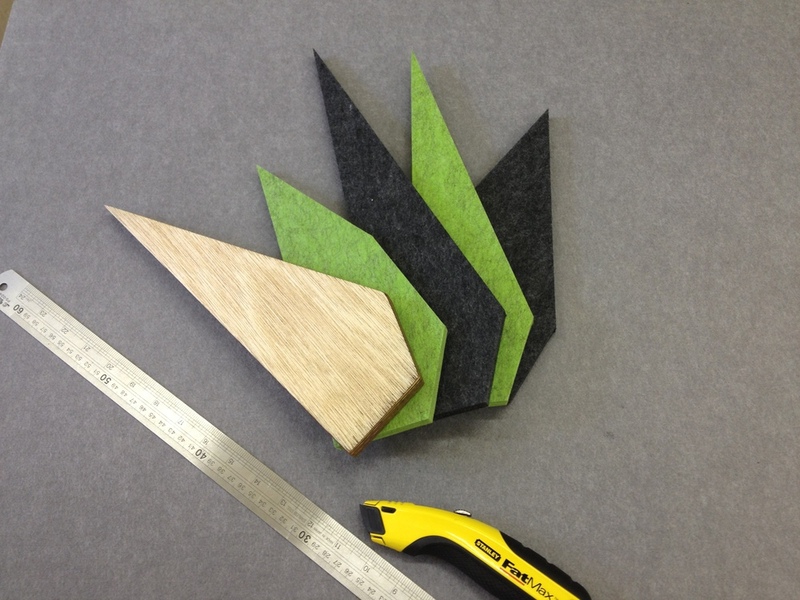 This particular design was created from recovered Pine Beetle Wood (denim pine) for an eco event. This is a great example of our flexibility and ability to fulfil any client request. 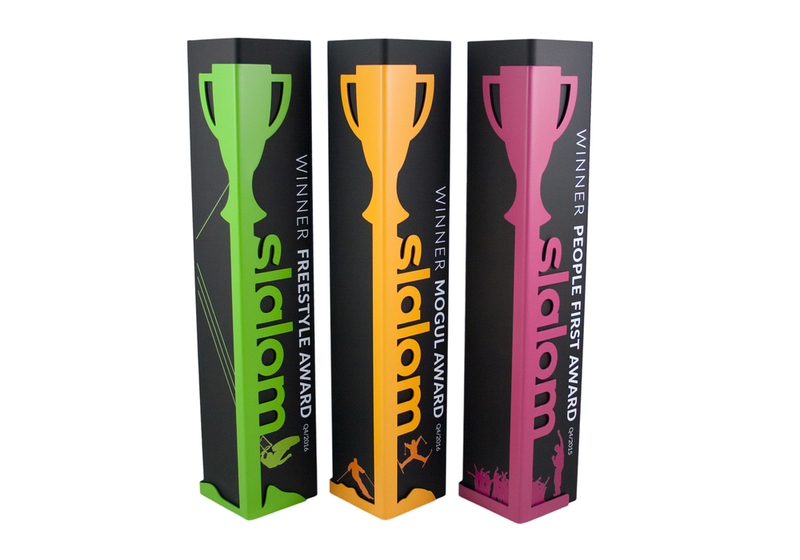 Most standard trophy / award shops will buy product from a catalogue with set designs and sizes. 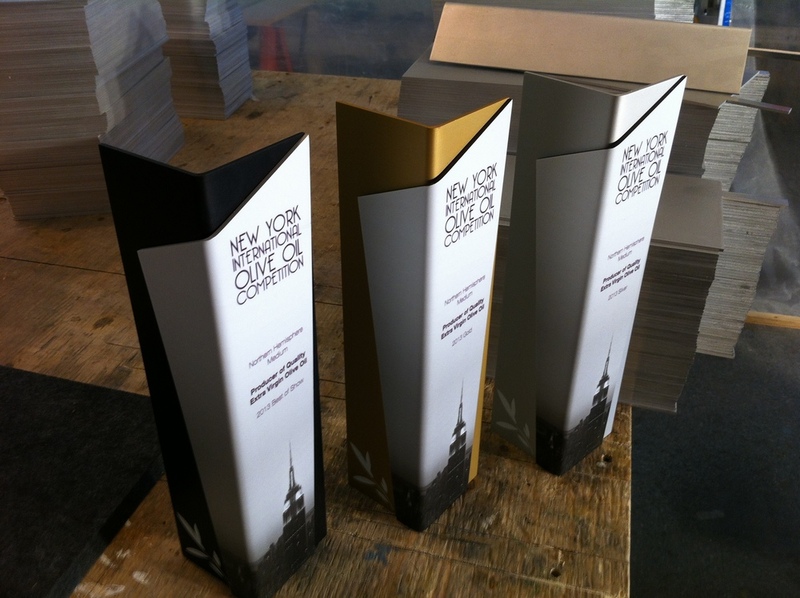 We custom design and handcraft every award ourselves so, we have the capacity to create anything our clients desire. When it comes to corporate recognition we are able to deliver the best products on the market. 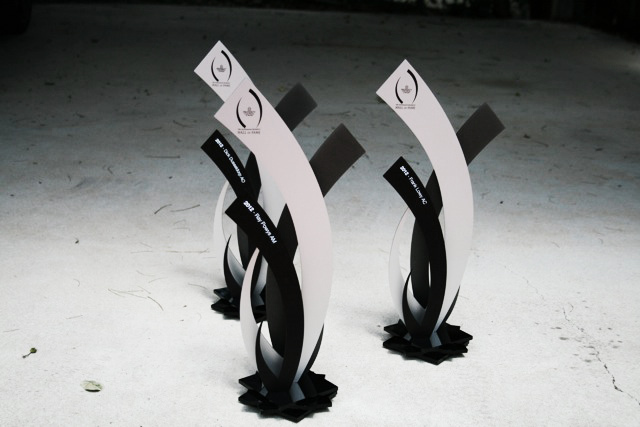 With original, modern and meaningful designs, our designers are able to create custom awards and trophies that make an impression and deliver on our clients specific communication goals. We have just completed this amazing new perpetual trophy for the X-Prize Foundation. 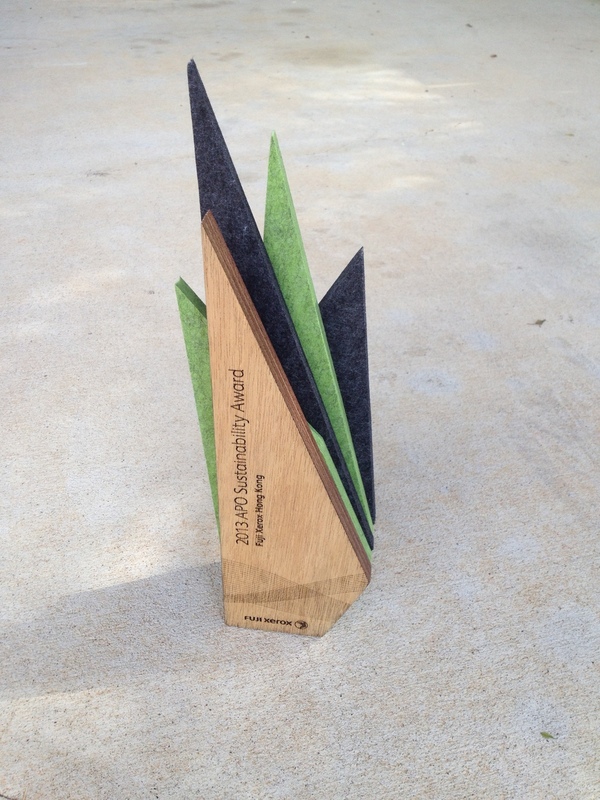 The trophy was made for the Visioneering event held in California, USA. The design was a collaboration between the X-Prize Foundation and Andrew Watson Design. This custom perpetual trophy stands over 2 feet tall and is made with 9 layers to create a dimensional form. 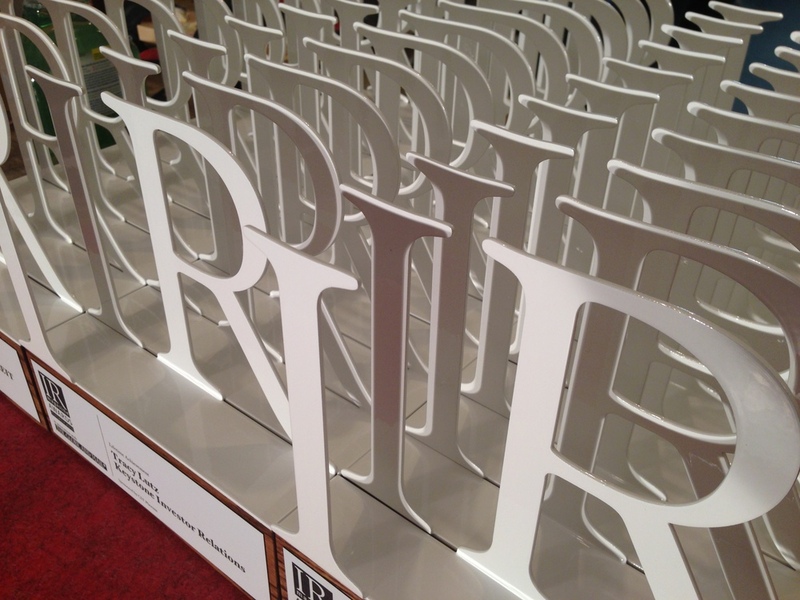 Just completed the 2013 property council hall of fame trophies. The inductees are still to be announced so this is what they looked like last year. Making 300 of these for the world's best olive oil producers. We are a product design studio with extensive experience in custom trophy, award and plaque creation. We specialise in the creation of unique, handcrafted, custom designed trophies, awards, plaques and offer complimentary engraving services for all of our products. We use can sustainable materials such as new/recovered wood and timber or traditional materials such as glass, acrylic and aluminium. Local Vancouver and Brisbane based design studio Andrew Watson Design creates sustainable, eco and environmentally friendly custom trophies, awards, plaques and gifts. We use unique, modern and contemporary materials to handcraft our trophies, awards, plaques and gifts. We custom design to suit every clients specific design requirements and offer free engraving for all of our trophies, awards, plaques and gifts to add the personalized touch. The trophies, awards, plaques and gifts that we create will be remembered for years to come. So give the special someone in your life a contemporary, eco, unique and modern trophy, award, plaque or personalized gift. Buy local from our Brisbane or Vancouver studios or have them delivered to other major cities such as Sydney, Melbourne, Toronto and Calgary.